What advice would International Monetary Fund Managing Director Christine Lagarde give to President Donald Trump if he asked her to be an economic advisor for the administration? 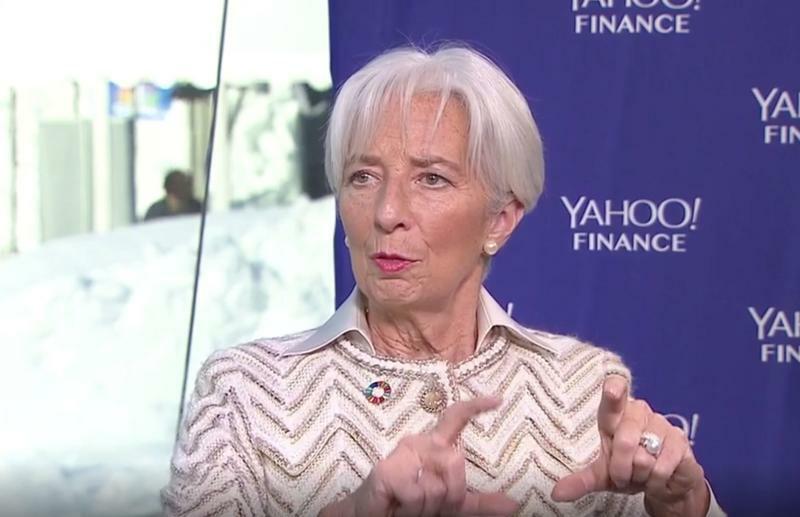 Lagarde, speaking in an interview on Wednesday at the World Economic Forum in Davos, Switzerland, was responding to a hypothetical question posed by Yahoo Finance editor-in-chief Andy Serwer as to what she would tell the president if she were his adviser. She elaborated that the U.S. needs to address trade policy in a more nuanced, global manner, rather than honing in narrowly on two-way exchanges. Specifically, the bilateral trade relationship between the U.S. and China has the among biggest focal point for businesses and investors. Lagarde called the trade war between the countries among the biggest “risks on the horizon” for the global economy going forward, on par with Brexit divorce uncertainty and rising debt concerns. “How will it be resolved, what tariffs will be reduced or increased? Which sectors will be affected? Again, there [are] negotiations going on, there [are] WTO efforts for reform, but it’s also a big question mark,” Lagarde said. The IMF earlier this week reduced its outlook for global growth to 3.5% in 2019 and 3.6% in 2020, down 0.2 and 0.1 percentage points, respectively, from its projections from October. The IMF cited “an escalation of trade tensions beyond those already incorporated in the forecast” as a key source of risk – leading to the institution’s second downward revision to its growth outlook in three months. A subset of the trade issue is concerns of a continued economic slowdown in China, Lagarde said. China reported Monday that its economy expanded by 6.6% last year, the slowest pace of growth for the country since 1990. And China has continued to come out with reports pointing to anemic growth in key sectors within its economy, with manufacturing activity and property and car sales dropping at the end of the year. Any acceleration in the slowdown of the world’s second largest economy would “impact countries in the vicinity” as well as the global economy at large, Lagarde said. However, Lagarde noted that there is “a little bit of hope” now relative to October, especially with regard to the U.S.-China trade relationship. Trump and China’s President Xi Jinping agreed in December to halt additional tariffs through March 1 as the two sides work toward negotiating a trade resolution. A delegation from the U.S. held three days of meetings with Chinese officials in Beijing earlier this month.